DAVID LE/Staff Photo. 6/19/15. 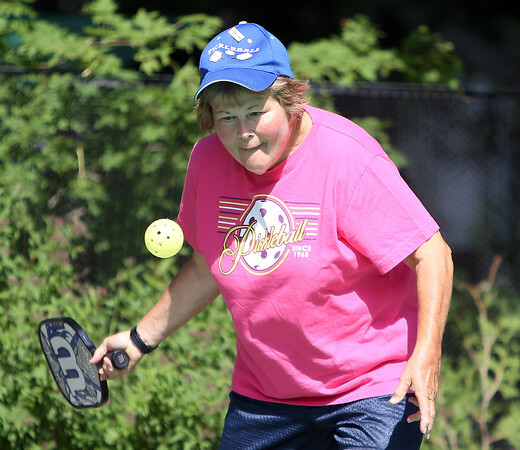 Mardee Goldberg returns a volley while playing Pickleball in the driveway of Beverly resident Sue Carnevale.